As part of Gifford Grant’s interior refurbishment and fitting out service, we can design, supply and install all types of storage, racking and shelving. 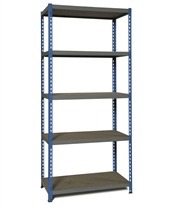 This can be used for document storage in offices, up to large scale palette racking for manufacturing or distribution operations. We offer a space planning service to maximise the floorspace available and leave safe access for fork lift trucks and other equipment. 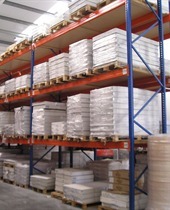 We can re-plan and relocate the racking from your old premises to the new facility and make up quantities of components as required with new or used components. In fact, the entire installation can be second hand, saving the client a large proportion of the cost. To discuss your upcoming office fit out or refurbishment requirements, contact us now at enquiries@gifford-grant.com or telephone 01252 816188.